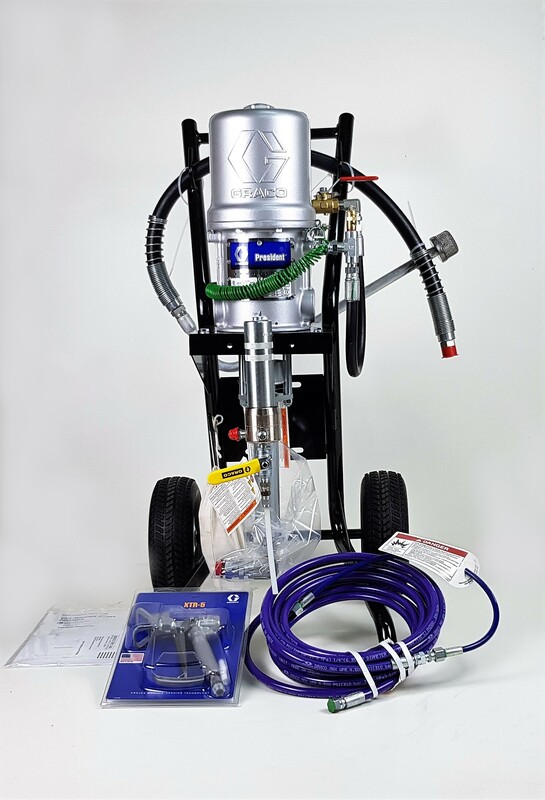 Graco’s President and Monark airless spray cart packages are designed to handle the rugged environment of protective coatings applications, as well as the demanding production needs of the heavy equipment manufacturer. 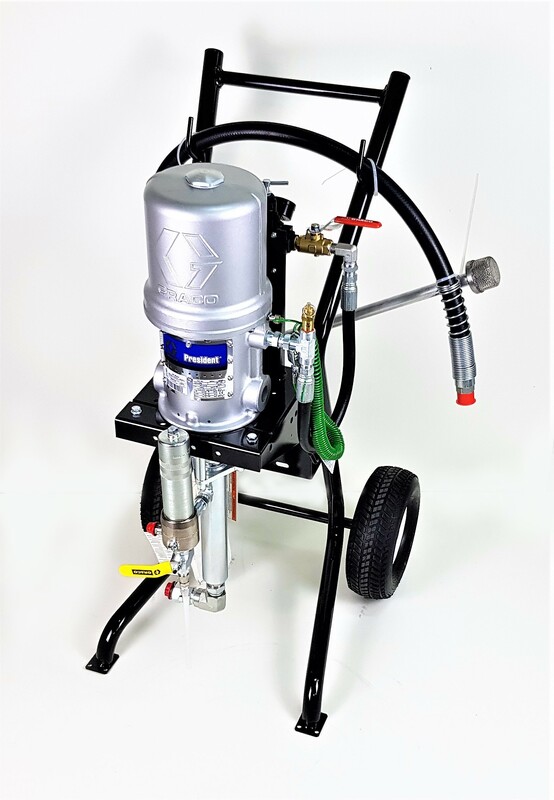 These units are ideal for operations requiring the mobility of a cart-mounted sprayer. They are ready for use “right-out-of-the-box”, and are equipped with gun fluid hose swivel and whip hoses to provide the operator with maximum comfort and handling ease. 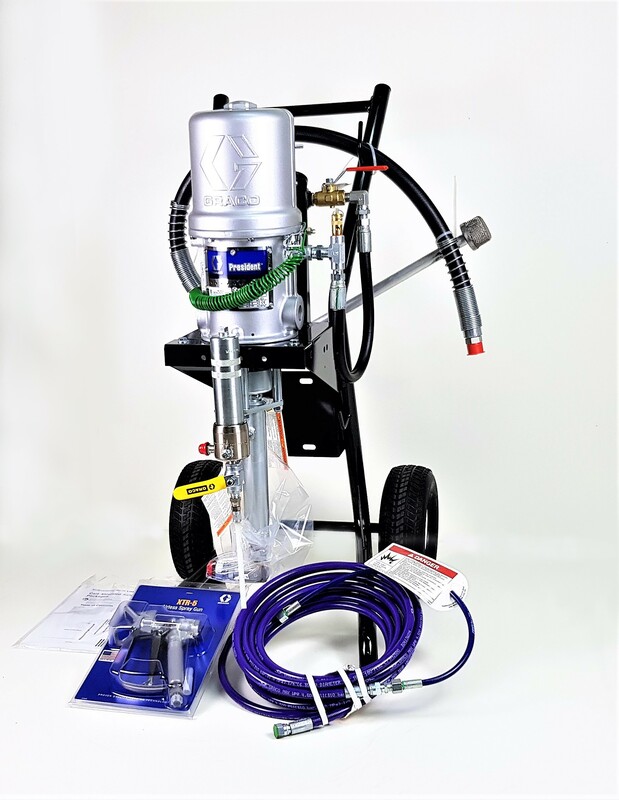 These sprayers combine Graco’s pump and gun technologies to deliver high performance and trouble-free reliability.